Goals and Vision: Steel tube frame, with a vertical separation on a pivot mounting, inside a carbon steel frame with temp breaks. 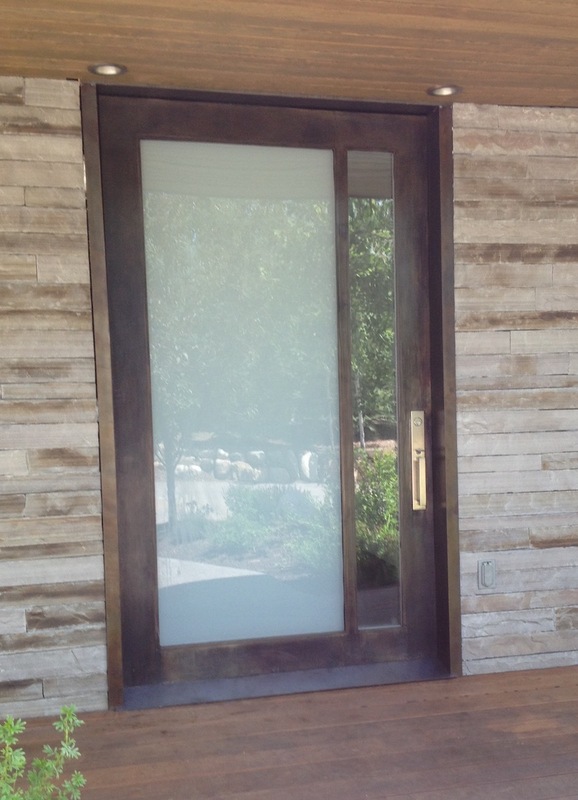 Two panels of tempered glass in a 4 to 1 ratio to provide privacy and a modest amount of vision through the door. Specific challenges: Finishing with bronze hues that are found in the surrounding stonework.